With the sailing season well and truly over here in the west of Ireland, there has been little activity on that front, bar the exciting news that the Ilen restoration project has been brought to a successful conclusion. This is a 1926-built, 56 foot Conor O’Brien ketch. 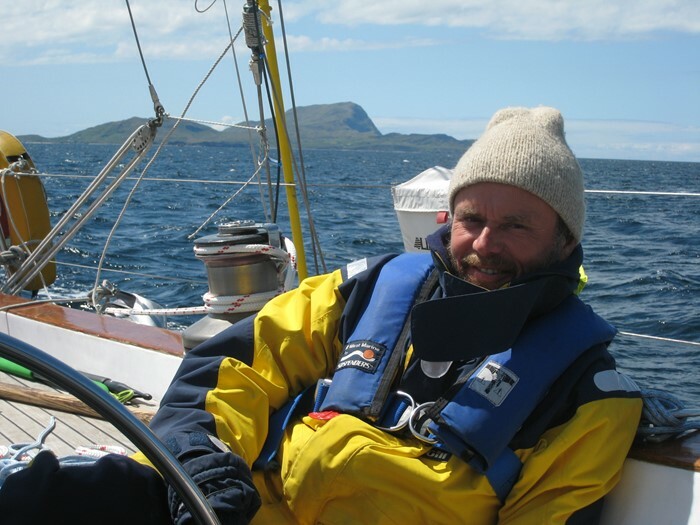 Conor O'Brien is a legendary Irish sailor who circumnavigated in his self-built yacht Saoirse in 1923-25, which has also been recently restored. OCC member Jarlath Cunnane was very involved with both projects. See link below. Although we typically have few yachts visiting us in the remote west of Ireland, we did have OCC visitors by land this year. Duncan and Ria Briggs were touring Ireland while their new home was under reconstruction and stopped by to see us in Westport. We enjoy meeting members whichever way their arrive! The OCC Irish Dinner was held in Westport, Ireland on October 27th. We had a lovely dinner at the Towers Restaurant overlooking Clew Bay to which 29 attendees traveled from all corners of Ireland; north, south, east and west. Longstanding members greeted new members and guests during a highly convivial evening. Many stayed for the weekend enjoying Westport. It was a bank holiday weekend and the Westival Arts Festival was on, making for a very festive atmosphere with much to see and do. The general consensus was that we have to do this 'a lot more often'. Great fun was had all around. Thanks to all for coming. Photos and names are posted in the OCC website photo gallery. Link below. Mark your calendars: July 2020 - Cork300 Gathering for the 300th anniversary of the Royal Cork Yacht Club. News to come. Photo: Alex aboard Aleria sailing in Clew Bay where Alex and Daria are Port Officers. Clare Island is in the background.